People have dreamed of flight for millennia, and achieved it within the past 100 years. 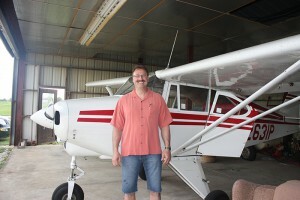 We would love to help you realize your dream of flight with our instructor and planes. 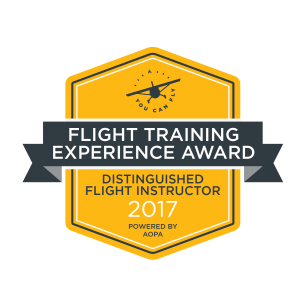 Peg is a 2017 award winner of the Distinguished Instructor Award from AOPA, based on reviews and customer satisfaction from previous students. 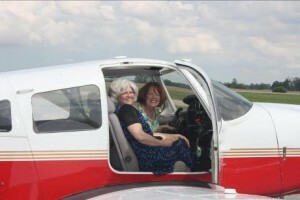 Peg is also an FAA Safety Team volunteer, presenting safety seminars locally and at AirVenture in Oshkosh since 2010. She was the Cleveland office FAASTeam Representative of the Year 2017. 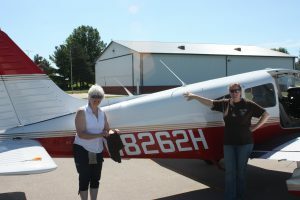 She has been involved with EAA giving Young Eagles flights, and is an Airport Support Network volunteer with AOPA, as well as a member of flight instructor professional trade organizations NAFI and SAFE, and women pilots organizations The Ninety-Nines and Women in Aviation. Sam B. earned his private Pilot certificate in March of 2018. 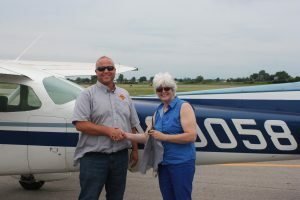 Ruth soloed June 16th, 2018. 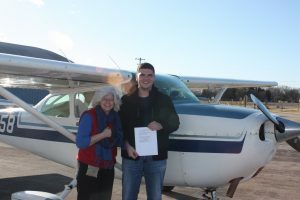 The solo is the first time a pilot flies without the instructor on board, and is a milestone towards aviation independence. The shirt tails are cut symbolizing that the “apron strings” have been cut. These are put on display until the pilot earns her certificate, at which time it is returned. 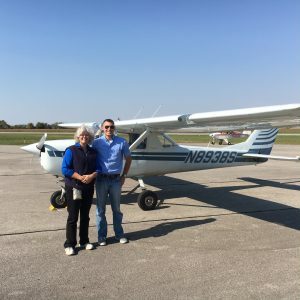 Eric soloed in June 2018 AND scored and amazing 100% on his written test! 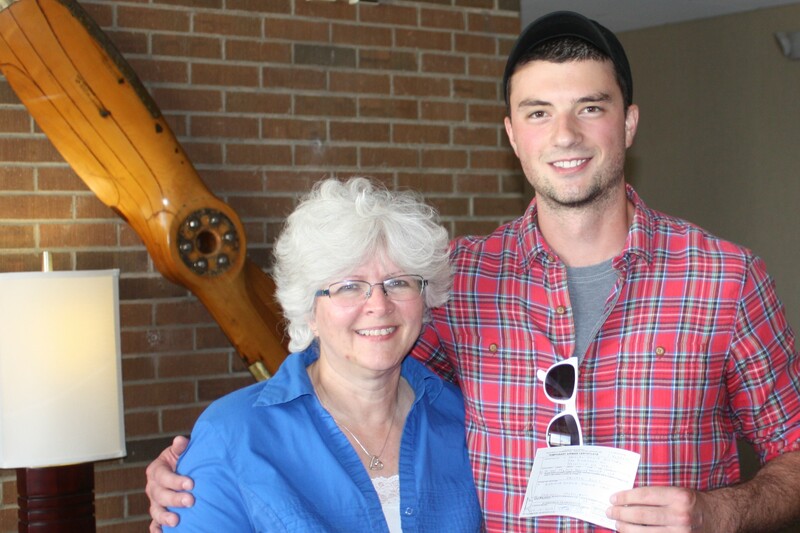 He is a dedicated pilot, working rapidly towards a Private Pilot certificate. 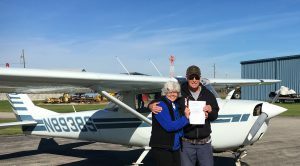 Congratulations to Wayne, who earned his Private Pilot certificate October 26, 2017. 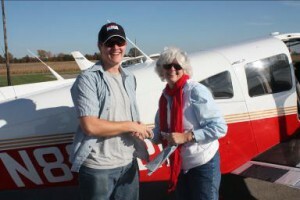 Flight Instruction or Discovery Flight, achieve your dream! Contact us for a consultation to discuss and get an estimated price on your training. package. We seek to keep costs down, but they vary depending on the time and effort dedicated to the process. We give you options and a fair value.